Encomiums have continued to pour in for the Rebirth edition (May 2017) of The Entrepreneur Africa. 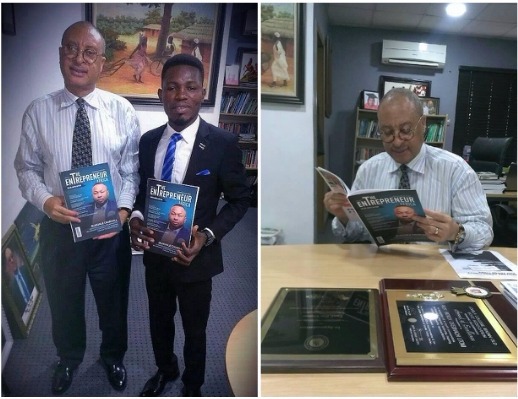 The latest endorsement is coming from the famous professor of political economy, and one time Nigerian presidential candidate, Prof. Pat Utomi. During a recent visit to his office by the magazine's team, led by its editor/publisher, Barr. 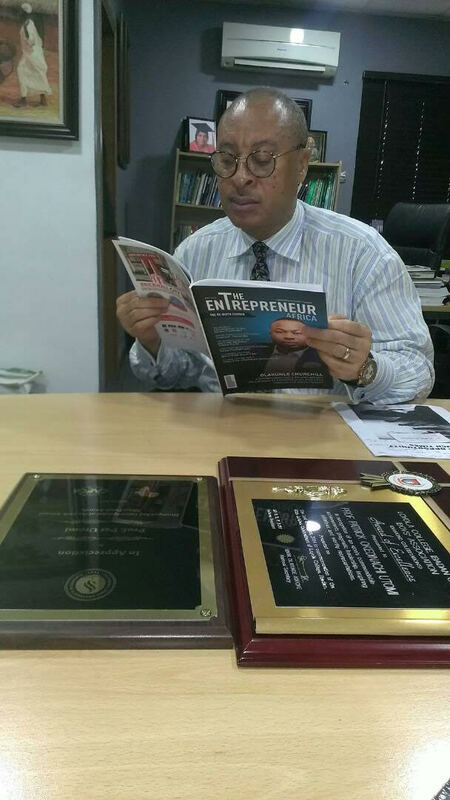 David Agu, Prof. Utomi, who has once graced the cover of the magazine, lauded the magazine for taking the message of entrepreneurship to a continental level. He equally commended Dr. Olakunle Churchill, Chairman of Big Church Group, who's on the cover of the Rebirth edition, saying his plans to empower 36,000 youths through agro business program, The Green Project, is a welcome development that should be encouraged. During the meeting, which took place at his Victoria Island office, the President of Lagos Business School took time to read through the pages of the magazine, stating that there's been a big improvement, as the magazine now presents a great read. Meanwhile, the magazine has decided to offer the digital copy of the Rebirth edition for FREE, and this can be downloaded at theentrepreneurafrica.com. "Preparations are in top gears to flag off the Green Project in Lagos, soon", says Dr. Olakunle Churchill.